My passion for abstraction presents a fluid and organic aesthetic that is thought provoking and evocative. My large scale works in acrylic have been acquired by corporate institutions worldwide, including an Australian High Commission, and are now in many homes and private collections across Australia, America, Canada, Europe, New Zealand and Singapore. I aim to communicate a diverse array of emotions through my art, drawing inspiration from the breath-taking and ever-changing view from my studio in the Adelaide Hills. Margie Goodchild believes that each nourished soul brings a little sanity back into the world. Her work helps make that happen with colourful, joyous art. Graduating with a Bachelor Degree in 1985, and revisiting Graphic Design once computers were more commonplace, you can see why Margie Goodchild's art style is 'graphic'. 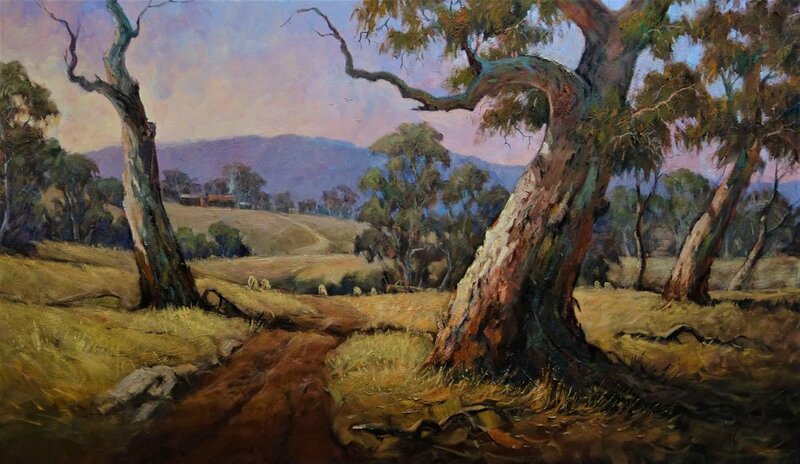 Her childhood enjoyment of (South Australian artist and educator) Ruth Tuck's art lessons continued as an older student and later as one of Ruth's teachers. Thanks to the mentorship of Ruth and her teachers, a lifelong appreciation for everyday beauty and a love of glorious colour was awakened, along with a commitment to painting and drawing practise. When studying Margie little expected that one of her greatest joys would become connecting with people whose eyes and hearts resonate with her artwork! Margie has had 2 solo art exhibitions - the first in 1993 (between the arrivals of her 2 sons) and the second at Goolwa in 2016 – along with too many group exhibitions to count! Goodchild works from South Australia's Fleurieu Peninsula, with a friendly black cat her sunny studio companion. Awaken your smile with Margie, aka. 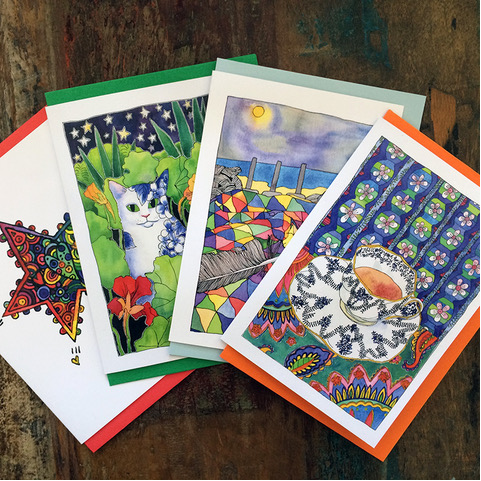 Tangerine Meg's, vibrant artwork! Diana Mitchell, born in South Australia’s beautiful Waikerie, was introduced to the art of porcelain painting and her personal quest to continue to achieve and expand her talent led her to study with both Australian and International Teachers including Jean Sadler, Mary Patusky, Paula Collins from the USA, Peter Faust from Switzerland and Derek Jones from the Worcester Factory in the United Kingdom. Following 15 years of teaching Porcelain and On-Glaze painting to a wide range of artist from across Australia, Diana became member of the International Teachers Association, and the Australian Porcelain Art Teachers Association. Winning many prizes within the arts sector, Diana expanded further to include Watercolour, Acrylic, Mixed Media and various works on glass, including lustre work. Watercolours of very detailed flowers have been produced as ‘Limited Edition Giclee’ prints by Diana with the encouragement and support of her mentors ‘HT’ and Inge Thumm. 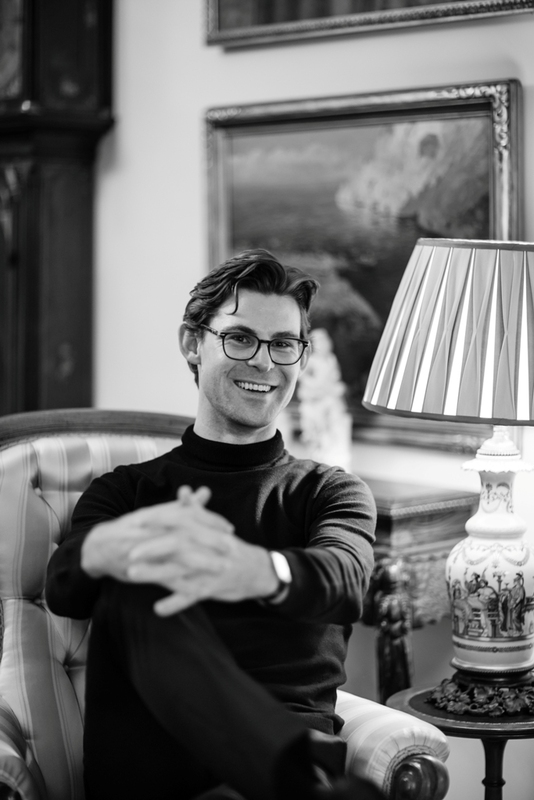 Mr Thumm originally built and owned the famous Chateau Yaldara, where Diana held numerous solo exhibitions throughout the vintage period. When Chateau Yaldara was sold, Mr and Mrs Thumm built the Chateau Barrosa and invited Diana to maintain exclusive residency as their Rose Artist. In 2015, Diana returned to become the Florist Artist at the Barossa Chateau ( formerly Chateau Barrosa ). As an acclaimed artist, Diana was inspired by friend and well known wild-life photographer, Mr Ian Jenkinson who was noted for his high quality wildlife photography, and she subsequently gained recognition in the Flinders Ranges, SA, with many of her works sold to overseas buyers, including from from the United Kingdom, Japan, and the United States of America. 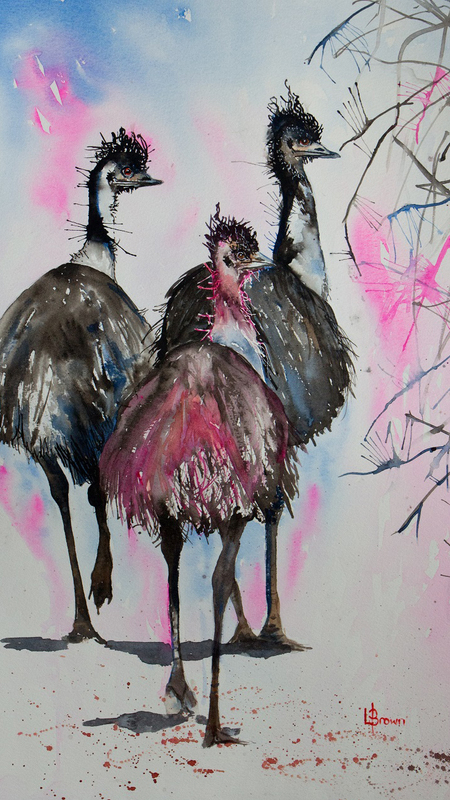 The colours of the various bush animals and birdlife have drawn great attention within her art exhibitions including Victor Harbour, and the prestigious Herald Sun Camberwell Art Show, in Melbourne; winning prizes consistently there from 2003. Diana has also received notable prizes from the Camberwell Art Show, The Wildlife Art Life Society, Blackwood rt Show, Tea Tree Gully Art Show, Campbelltown Art Exhibition, and Port Adelaide Art Shows. Diana is currently an Artist for the Art Exhibitions on the Art Trail for the Flinders Ranges, Blinman; SA. 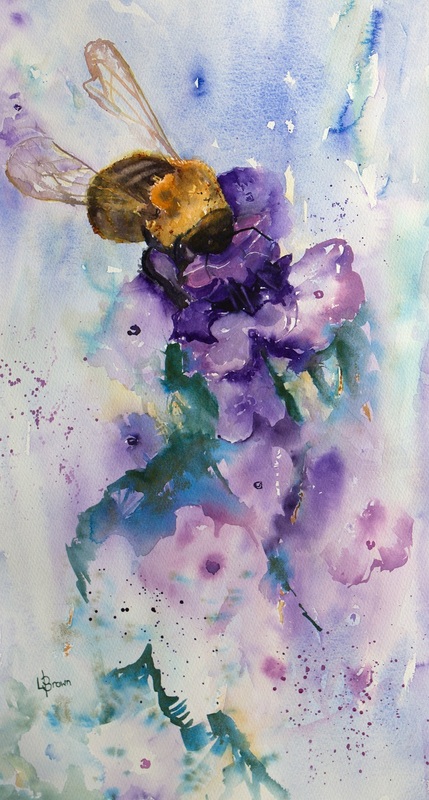 Diana’s foremost passion, apart from the wildlife, remains her watercolour detailed flowers which led her to attend the USA recently and study with Elizabeth Kinkaid and Marney Ward in Canada. 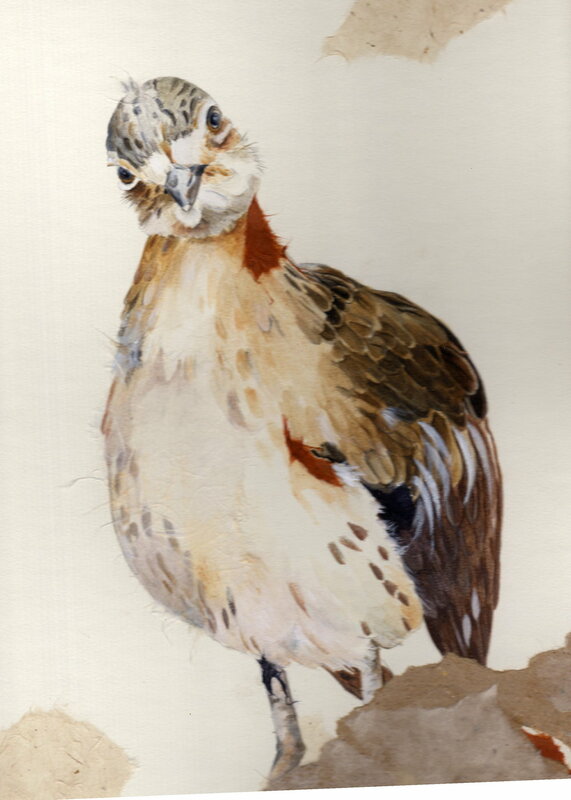 This further developed Diana’s expertise and knowledge of both watercolour, media and techniques. Friends, including Paul Jackson (USA ), Yuko Nagayama ( Japan) and Andrea Gorton ( Austria) continue to inspire and encourage Diana’s passion and development within the watercolour arena. Being excited to return as the Artist in Residence at the Barossa Chateau in Lyndoch; Diana continues to be consistently promoted as resident artist with a focus on both floral works and birdlife. 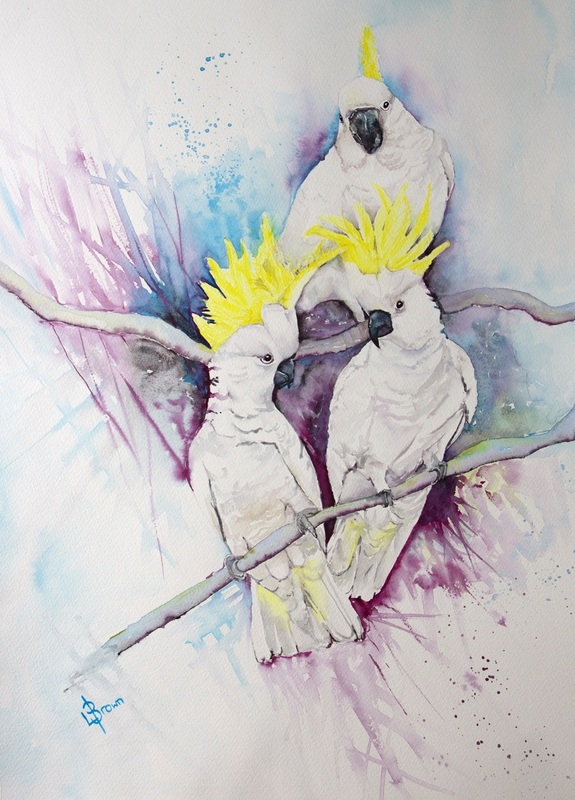 Being a Founding Member, and on the committee of the South Australian Water Colour Society , Diana remains passionate in her support of all Artists in their pursuit of interpreting, expressing and translating their perception of our beautiful planet through their chosen medium to share with art lovers worldwide! 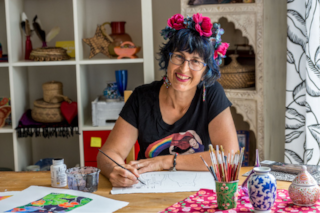 Lorraine Brown has always felt a connection with the art of watercolour. The mediums ability to create unique and unexpected results, its risk and surprise, were special and attractive qualities to the artist; who found risk and surprise at every turn in her creative and professional life. Her expressive works are the product of her desire to story tell and to capture the essence of a subject. Working predominantly in watercolour, Lorraine likes to play with creating texture and that something special, taking risks and going anywhere her imagination might take her. She defines her vivid works as “expressive impressions” a blend of realism and abstraction and is constantly searching for new ways to use her medium. 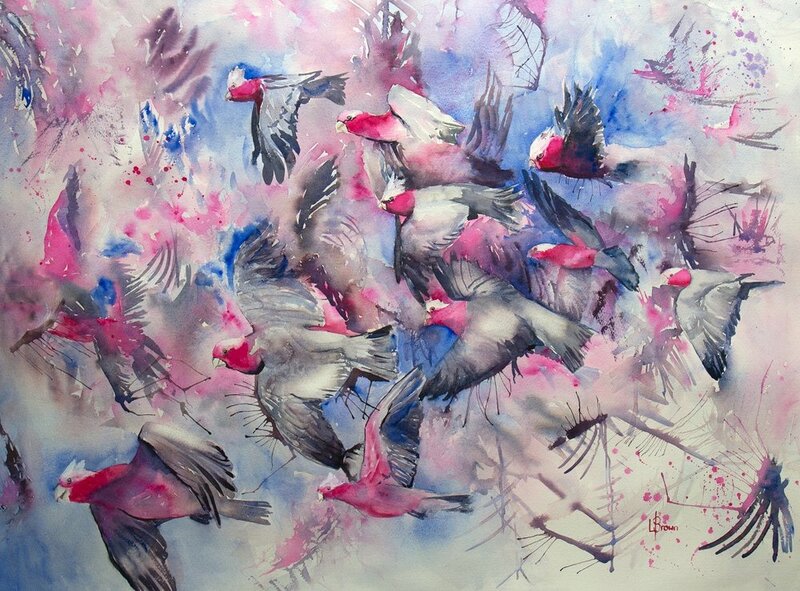 Lorraine’s paintings are held in private and corporate collections in Australia and overseas. In 1998 Carol was introduced to the vibrancy of pastel painting. This began a real love affair that renewed her passion for the Australian land and seascapes. Also working in oils, acrylics, water colour and pen and wash, Carol is a traditional artist and is a member and past president of the Pastel Artists of SA. 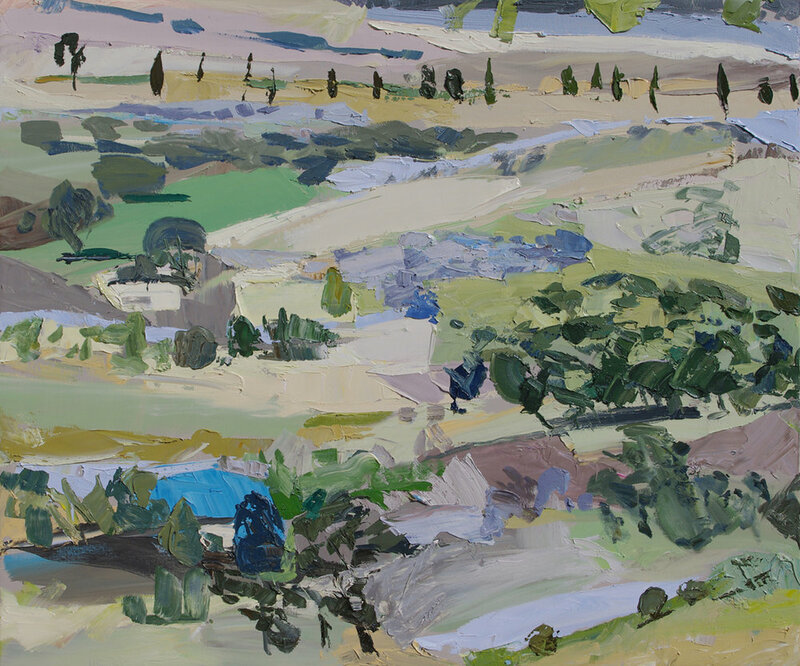 Carol ‘s successes include being a finalist in the Heysen Landscape Art prize from 2001 up to 2009 and in 2014, a finalist in the Fleurieu Biennale in 2000 and 2013 and in 2005 she won the gold medal award in the Pastel Artists of South Australia exhibition. Carol relocated to Goolwa in 2007 to be closer to the sea and sand hills of the Coorong and the River Murray. Carol has also enjoyed some success with her photography and is a member of the South Coast Camera Club. Rod is an established artist who has been exhibiting professionally for over 30 years. Rod works in a variety of mediums but is best known for his gouache and watercolours of the State's southeastern wetlands. Rod has been a finalist in the prestigious Waterhouse Natural History Prize on numerous occasions and his concern and compassion for the preservation of the natural world is always at the heart of his work. Rod studied at the South Australian School of Fine Art, East Sydney Technical College and Torrens CAE. He is a Fellow of The Royal South Australian Society of Arts and was a director of the Southern School of Art, and as Art Educator was Head of Art at St Peters college and has recently retired from his position as Head of Creative Arts at Westminster School. Rod has his works in both corporate and private collections in Australia and Internationally, including The State Library of South Australia, Naracoorte Hospital, St. Peter's College, Westminster School and Naracoorte Fine Art Gallery. Rod has won prizes at Camberwell, Brighton, Victor Harbor, Toorak, St. Peter's Cathedral, Balco Art, State Bank Tourism Commission and the SA Museum. Alvena Hall is a textile artist. Her initial training was at the South Australian School of Art, but she also has a BA (Hons Philosophy) Adelaide University, and MA (Visual Arts) from Flinders University. After teaching, she travelled Europe from one major gallery to the next for two years. Upon her return, under the name Whipstitch, her work included TAFE teaching, Community Arts, Artist in Residencies and writing for TAFTA 'Forum’ magazine, and a dozen or so solo exhibitions. Environmental issues of desert and beach are very strongly represented in pieces such as 'The Littoral zone', 'Desert Landscapes', Yorkey's Crossing', 'Coober Pedy', 'Arid zone', 'Mungo Quits' and latterly 'Ediacara Suite'. Her works include quilts, sculptures, works on canvas and Alvena has exhibited in solo exhibitions 2012-2014. Her works are held in numerous collections locally, nationally and overseas. Ann's fascination with seaside aerial perspectives continues to be an endless source of inspiration. 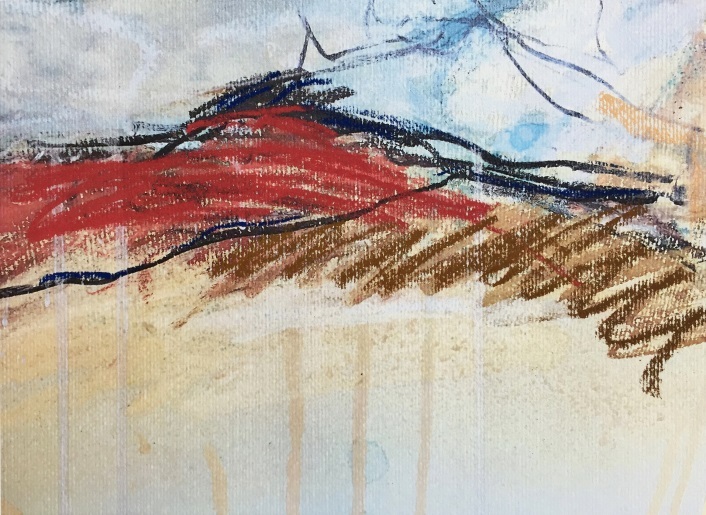 She continues to expand and play on this theme by introducing unexpected variations to her work, both with colour, and /or by including focal points such as rocks and palm trees. Working in acrylic on large canvases, Ann's paintings mimic the movement, depth and play on light on water. Her use of figures and their shadows brings a unique sense of storytelling to each piece. Ann's interesting use of colour, texture and glazing are hallmarks of what has become her signature style. With the beauty of the Australian coastline as her backdrop, she captures why a day at the beach remains such an enduring part of Australia's lifestyle. 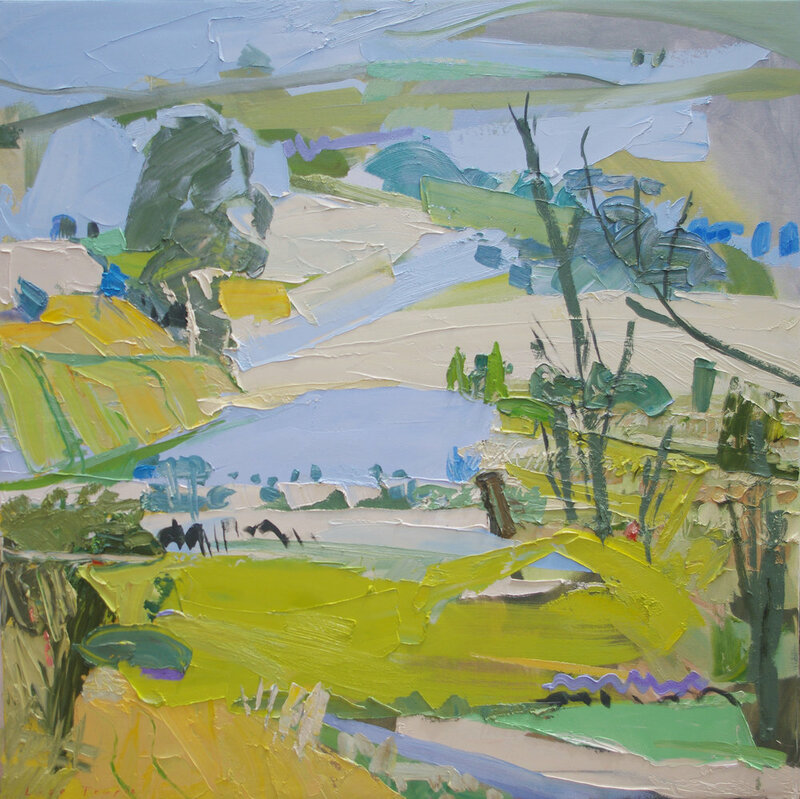 A spirited and enthusiastic artist, Ann has exhibited at numerous solo and group exhibitions. Her work continues to be well received. 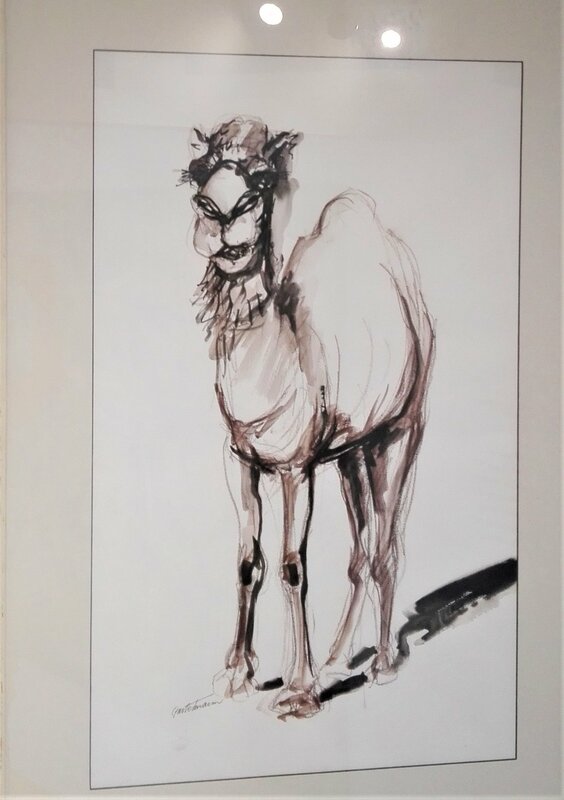 Born in Seymour Victoria in 1944, Bill McSwain launched his impressive artistic career after attending the Royal Melbourne Institute of Technology and the Caulfield Institute of Technology where he attained his Diploma of Graphic Arts. Bill’s talent was recognised by Channel 9 Melbourne who employed him as a Set Designer before he went on to become a freelance Graphic Artist/Illustrator. Over the last 40 years Bill has travelled extensively throughout Europe and Great Britain, honing is skills as an Artist and Potter to teach in Scotland, and paint at the prestigious National Gallery London. 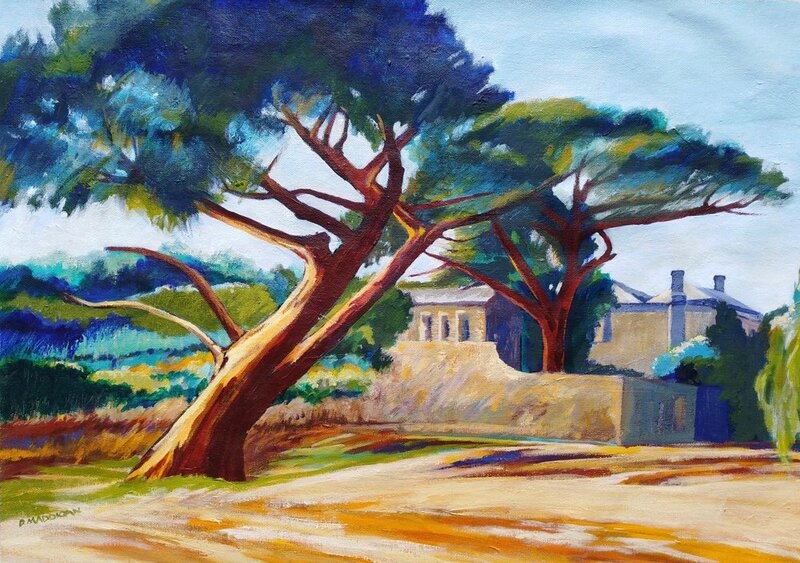 His impressionistic style embraces light, shadows and arrangement of colour. The images he brings to the canvas, often reflect on the wonder of those seen in past adventures or a passing moment in time. Bill has exhibited extensively and has been represented in private collections throughout Australia and overseas. Terry studied at the South Australian School of Art and also under the late John Goodchild and Reg Hicks who studied at and presented the Melbourne School of Art "Tonal Impressionism" techniques to his students in Adelaide during the 60's in Adelaide during the 60's. More recently the Dutch Den Haage School, and artists of the late 1800's and early 1900's have had a profound effect on Terry's work. During formal training Terry Lewitzka travelled widely, visiting European Galleries and meeting artists from various countries. He won many art prizes over the years and had many one man exhibitions as well as exhibiting in combined exhibitions. 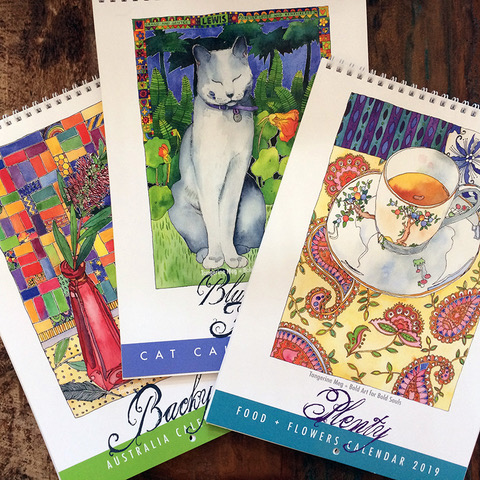 Works by Terry have been published on calendars and in books and magazines. He was admitted as a Fellow of the Royal South Australian Society of Arts in 1982. As an Associate of the Advertising Institute of Australia, he operated his own business, as a commercial artist, from 1984 until 1994. From 2001, Terrycontinued to be an Honorary Member of the Rotary Club of Victor Harbor. Terry was a particularly skilled in "plein air." Hetaught in SA, NSW, QLD, Tasmania and Western Australia.